Our First Sponsor is: Bugaboo who are offering 7 Images from Store. Our Second Sponsor is: Ike's Art who are offering a $15 Gift Certificate. Our Third Sponsor is: Robyn's Fetish who are offering 3 Images from Store. Our Fourth Sponsor is: Sparkle N Sprinkle who are offering a $15 Gift Certificate. 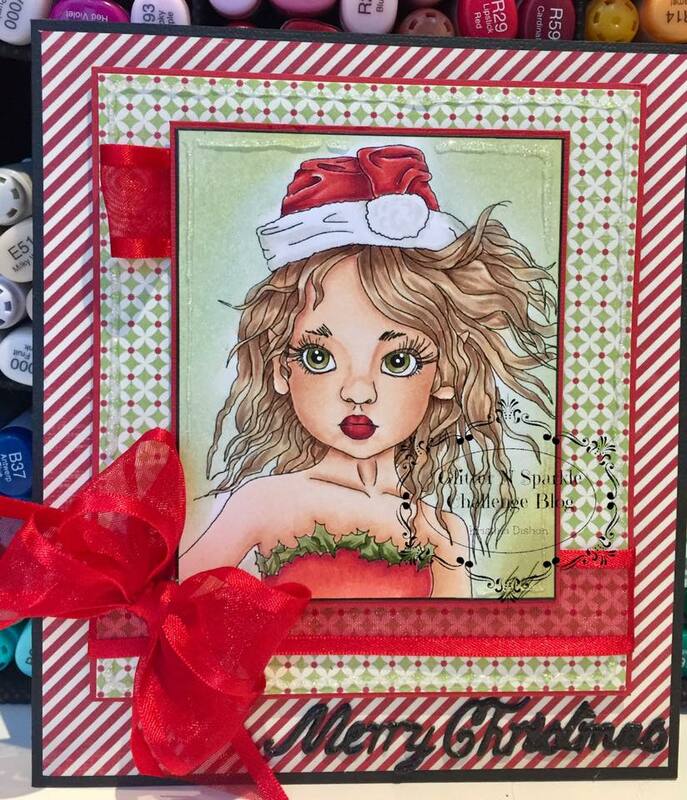 For my card this week I chose this lovely image - Christmas Pixie from Ike's Art. She is coloured with copic markers and some random patterned paper from my stash and topped off with some lovely organza red ribbon. My glitter part is the stickles on the outside of the image which does not show up very well when I took this photo as it was still wet. A WONDERFUL CHRISTMAS AND PROSPEROUS NEW YEAR. Thank you so much for using one of my images and it is a pleasure to Sponsor you. I hope 2017 brings you good health and happy crafting.